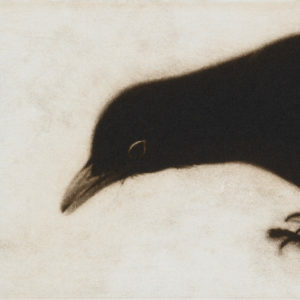 Delighted, once again, to have a mezzotint engraving selected and hung at the Royal Academy Summer Exhibition. Blackbird is in room Vll – Rebecca Salter RA’s fabulous print room. At 4″ X 4″ it’s possibly the smallest piece in the whole show but easy to find right above Richard Davey’s wall text. If you can’t make it to London this summer, you can view the piece, or purchase on line here .